"Rather than encouraging the scatter shot approach of broad diversification, Jordan focuses on the rifle–shot Magnet® method of identifying a limited number of quality stocks to improve your chances of beating the market." "Jordan Kimmel is one of the brightest market observers out there, and he is certainly a rising star that will be an important person to follow marketwise for many years." Michael Burke, Coeditor, Investors Intelligence, Inc.
"Jordan Kimmel′s The Magnet® Method of Investing is an amazing, detailed, and intuitive book. I especially enjoyed Jordan′s insights into diversification, the inefficient market, and identifying stocks that are in their ′sweet spot.′ Jordan′s writing style is also very straightforward and refreshing. He succeeds in taking complicated subjects and explaining them in an insightful way. This is simply an incredible book that is a must–read for both beginning and serious investors." Louis G. Navellier, Chairman and founder, Navellier & Associates, Inc.
"The Magnet® Method of Investing examines investing from a different perspective than many investors often see, offering a unique alternative to diversification. Jordan Kimmel has analyzed the methods of the best investors through time and introduces his robust stock selection process." "We welcome Jordan′s book as a valuable perspective on investing. The Wall Street Transcript applauds money managers like Jordan who explain their philosophies clearly, support them with research, and back them up with performance data. This is a great addition to any investing reading list." 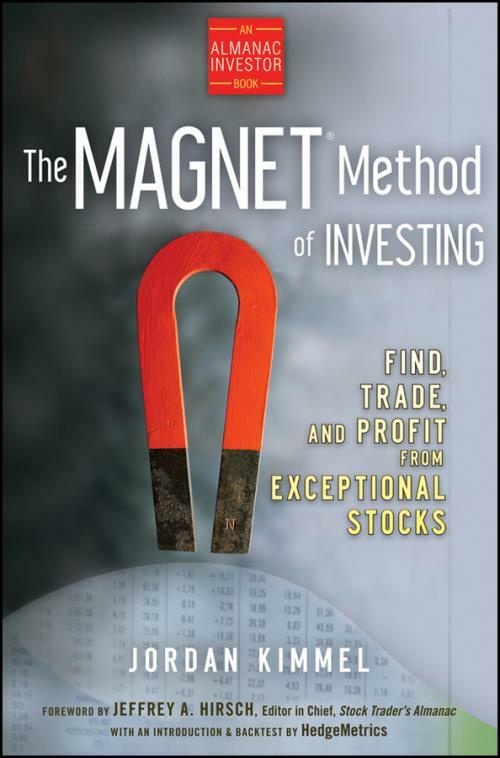 "The Magnet® Method of Investing takes on the important issue of diversification, which has been oversold to Main Street. This is yet another example of the need to ′go against conventional thinking′ if you want to achieve superior results." Foreword by Jeffrey A. Hirsch. Introduction by C. Michael Carty & Edward Matluck. Chapter 1 The Road from Broadway to Wall Street. Chapter 2 The Paradox: Diversification or Superlatives. Chapter 3 The Bell Curve: Stock Market Superlatives. Chapter 4 The Inefficient Market: Reallocate into Superlatives. Chapter 5 Nature′s S–Curve: Buying Stock Sweet Spots. Chapter 6 Reevaluating Risk: Volatility Is Not Risk. Chapter 7 The Search for Superlatives. Chapter 8 The InterBoomer Generation. Chapter 9 Implications of Market Interference. Chapter 10 Free Earnings: A New Metric. Chapter 11 The Magnet System: Putting It All Together. Chapter 12 Selected Articles and Interviews. Appendix: Testing the MAGNET Approach: The Investment Performance of the Superlatives.